We invite you to visit this destination, Arenal Volcano, which is considered to be one of the most beautiful regions with the most spectacular hot springs in Costa Rica. Here is an excellent offer where you will enjoy the spectacular view of the Arenal Volcano, relax at the Baldi Hot Springs and the adventure Canopy Tour. 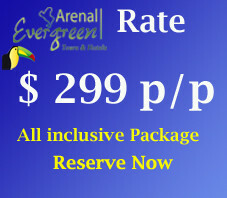 Arenal Vacations 2 days 1 night. 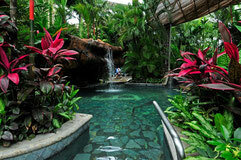 -One day pass to Baldi Hot Springs. 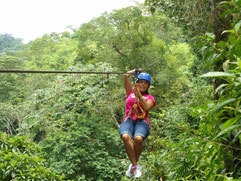 * Canopy Los Cañones and Los Lagos Hot Springs. 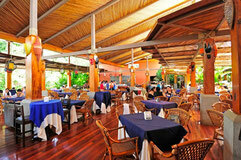 Please let us know if you need transportation from anywhere in Costa Rica to Arenal Volcano area to enjoy this package.